Posted on	 August 1, 2017 . ​Known to friends as "The Jellyfish House", for that "one" piece of art making it easy to spot, this recently-turned Centennial Bungalow is born again, remodeled and move-in ready. 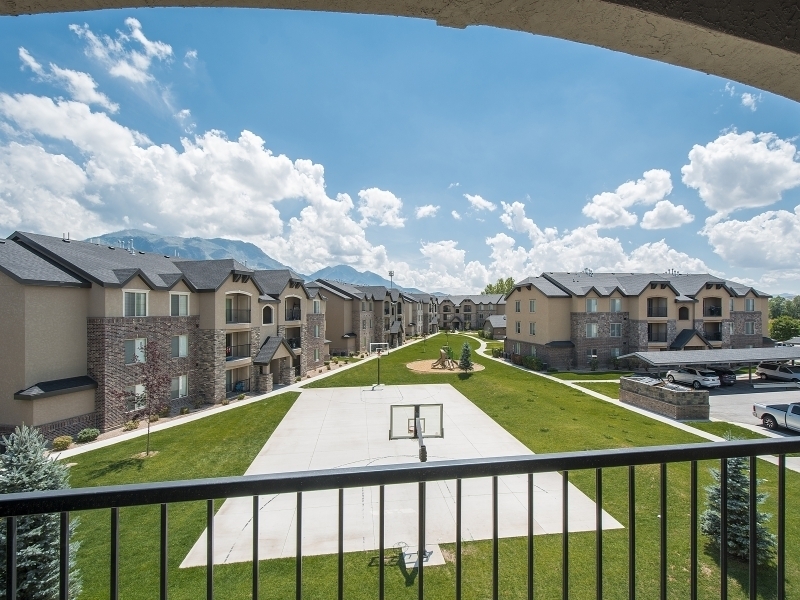 Beautifully recently built condo for sale in Payson, Utah. 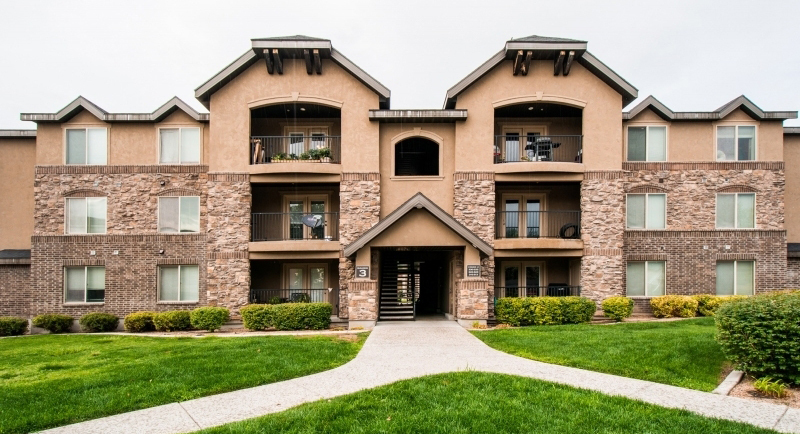 Beautiful condo located in Ridgestone Condos in Payson, Utah. Posted on	 July 25, 2017 . 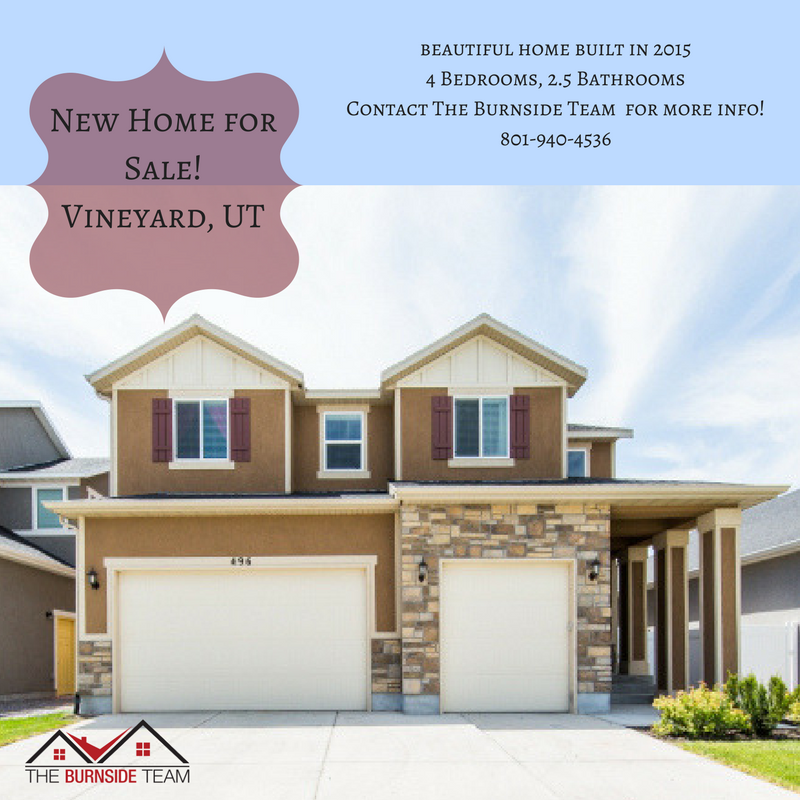 The Burnside Team is having an open house this Saturday July 29, 2017 from 11 am - 1 pm at this amazing property in Vineyard, Utah. Posted on	 July 7, 2017 . 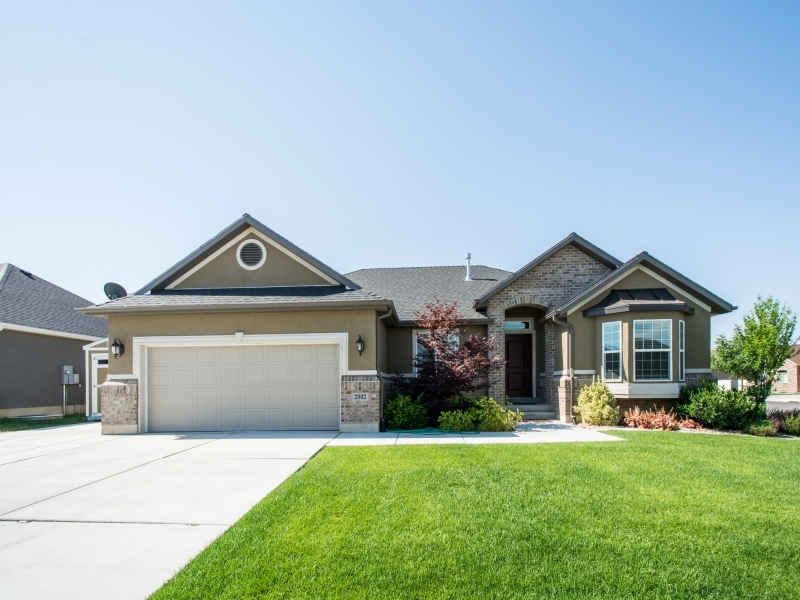 ​Beautiful Home for Sale - 496 E Rue Cournot in Vineyard Utah! Posted on	 June 28, 2017 . New home for sale in Spanish Fork. 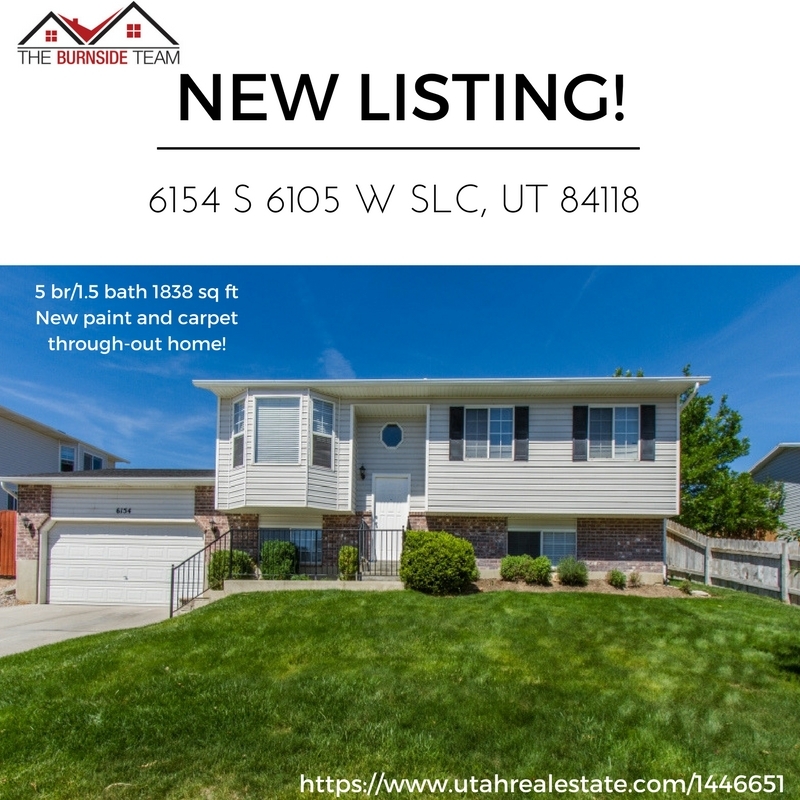 Contact The Burnside Team at 801-940-4536 for more info! SOLD! 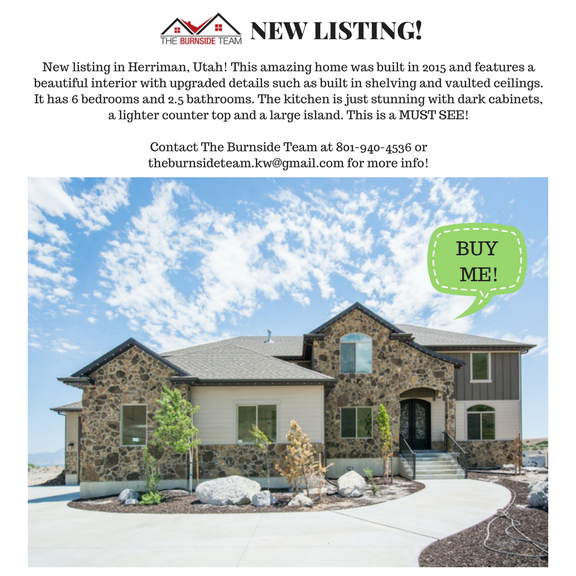 New Listing Home for Sale Herriman Utah! Posted on	 June 21, 2017 . 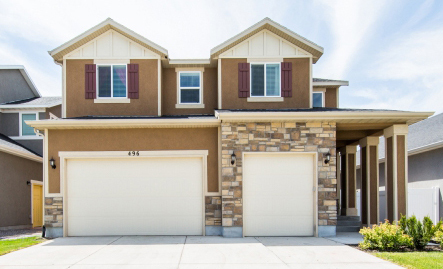 Beautiful new home for sale in Herriman Utah. Check it out! 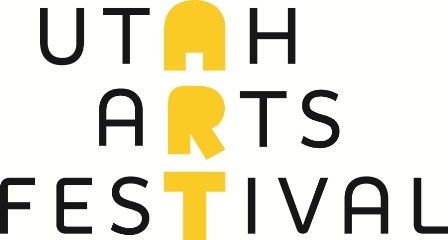 It is time again for the annual Utah Arts Festival! Posted on	 June 19, 2017 . 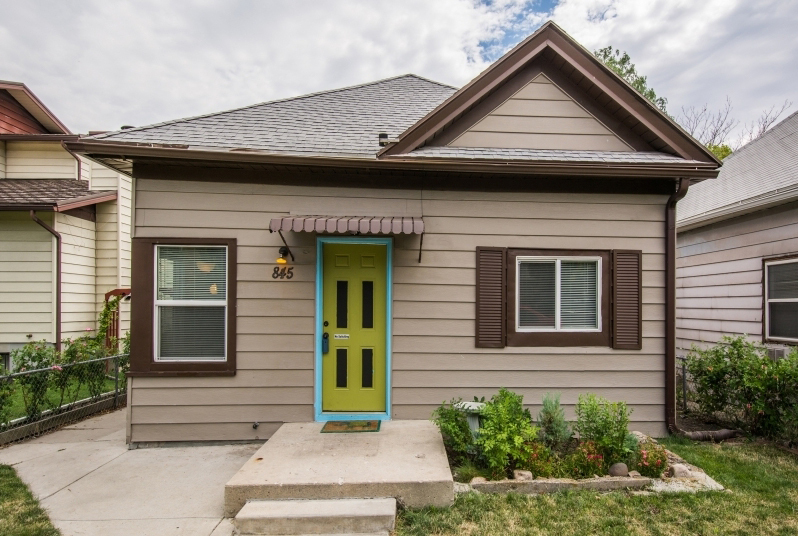 Home for sale Salt Lake City Utah. New carpet and paint. Posted on	 June 16, 2017 . 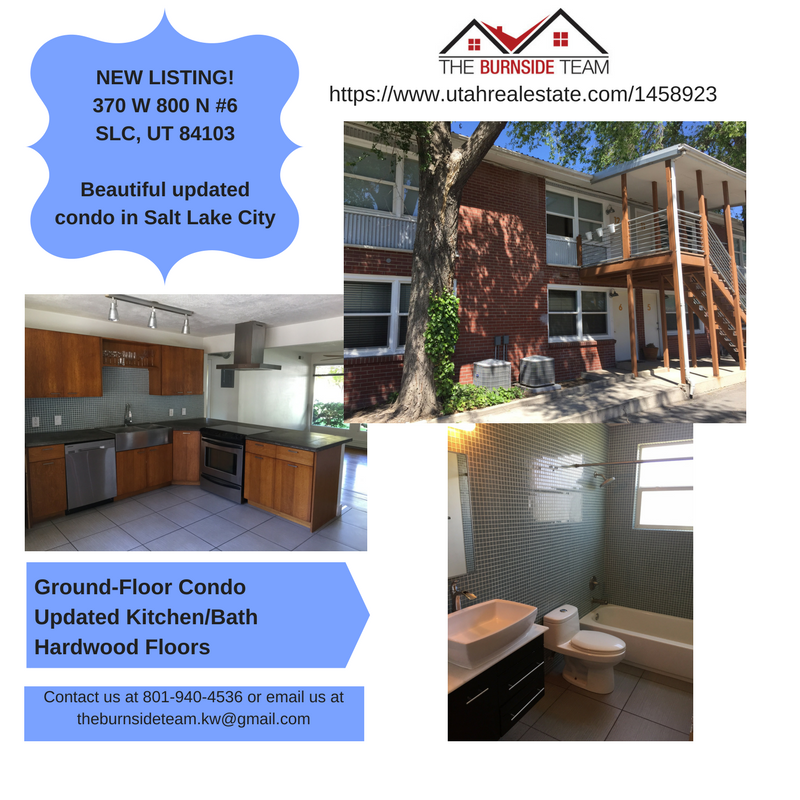 We've just a listed a beautifully updated condo in Salt Lake City. Lovely modern kitchen and bathroom, with hardwood floors.